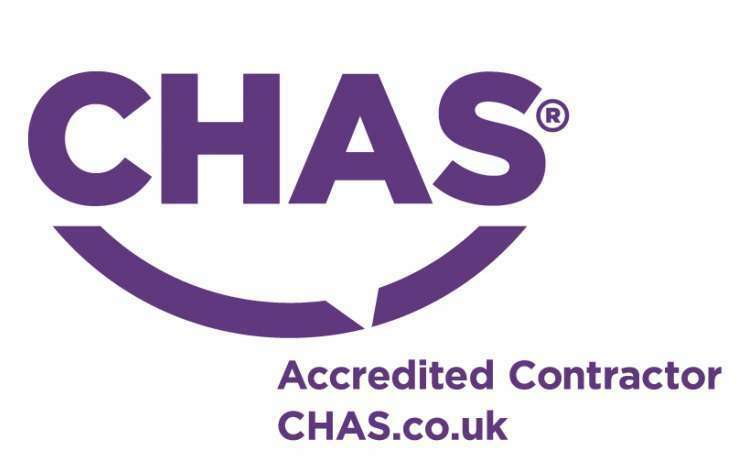 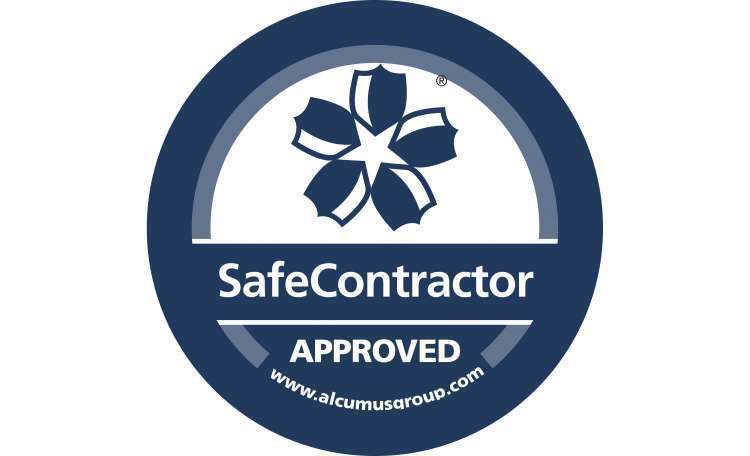 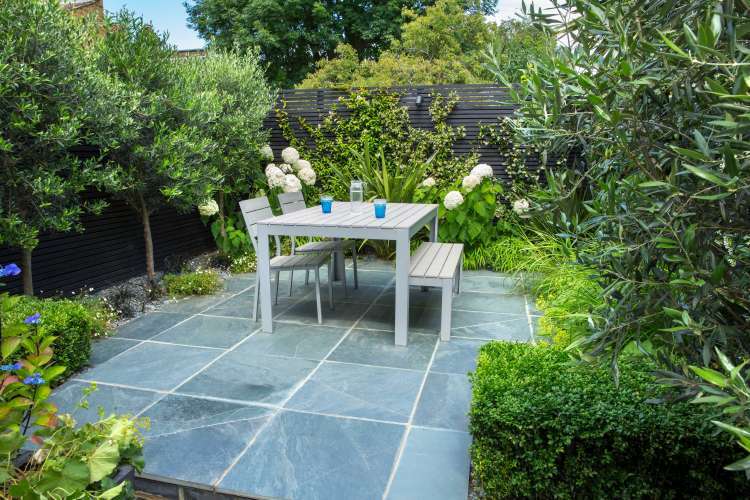 Our client had purchased a new build property with a compact rear garden. 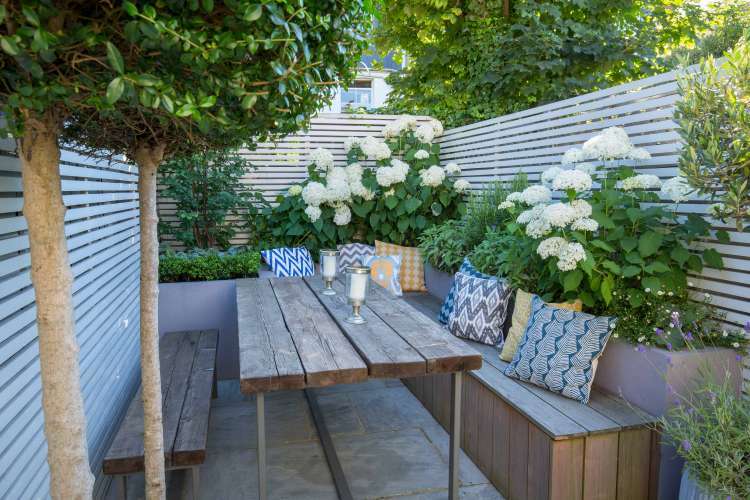 The developers had laid the garden with artificial lawn and a number of traditional shrubs were planted. 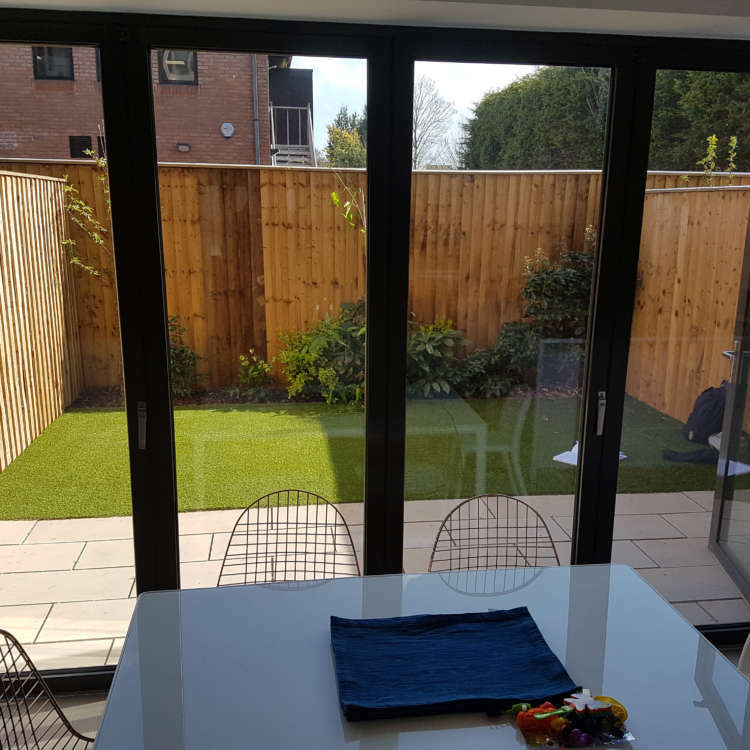 However, our client wanted a garden that would make the most of the open plan kitchen dining area and become a real extension of the interior when the bifold doors were open, as well as looking attractive all year round. 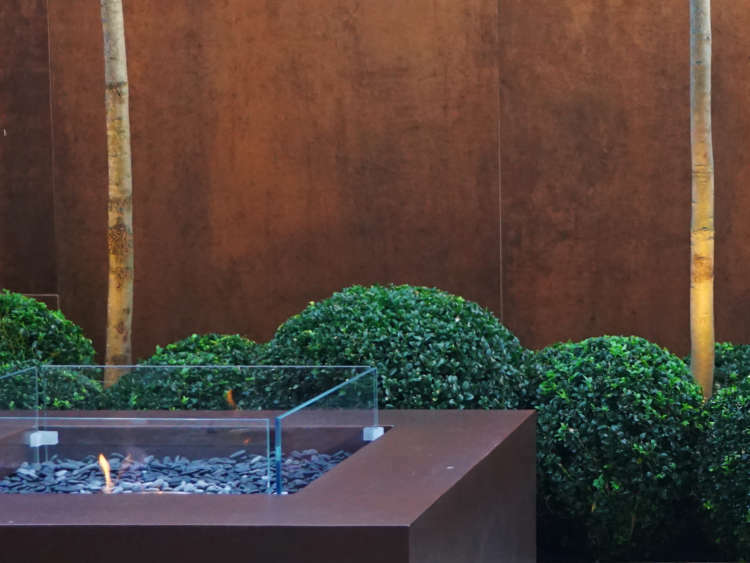 The design we developed was set around a feature wall, the inspiration came from a very minimal photograph on our client’s initial wish list. 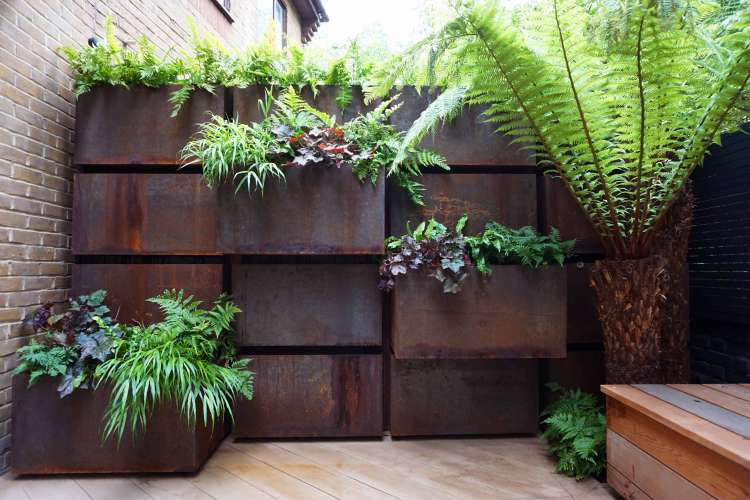 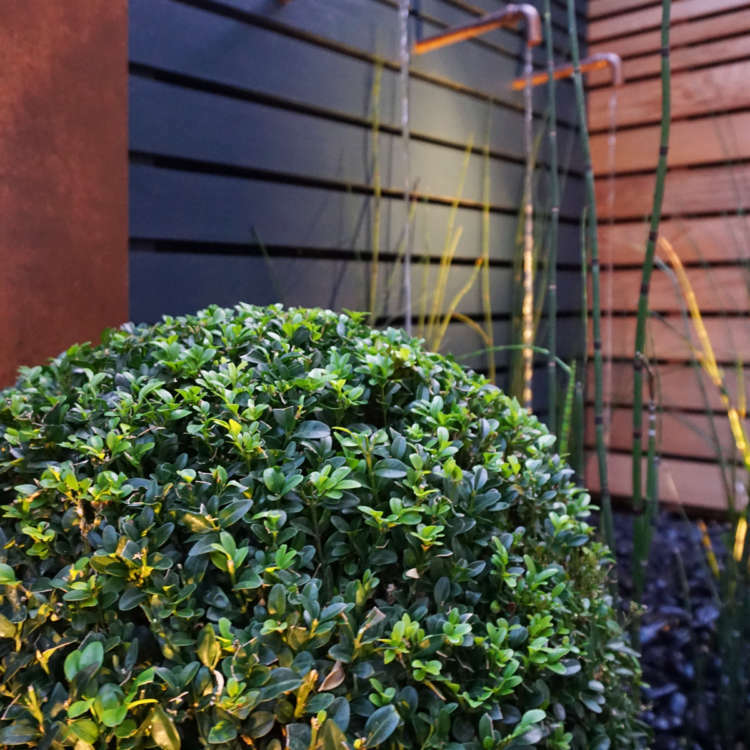 Corten steel effect cladding is used to dress the wall and matching Corten effect Urbis pots are planted with small olive trees, to add another simple detail, whilst keeping a feeling of space. 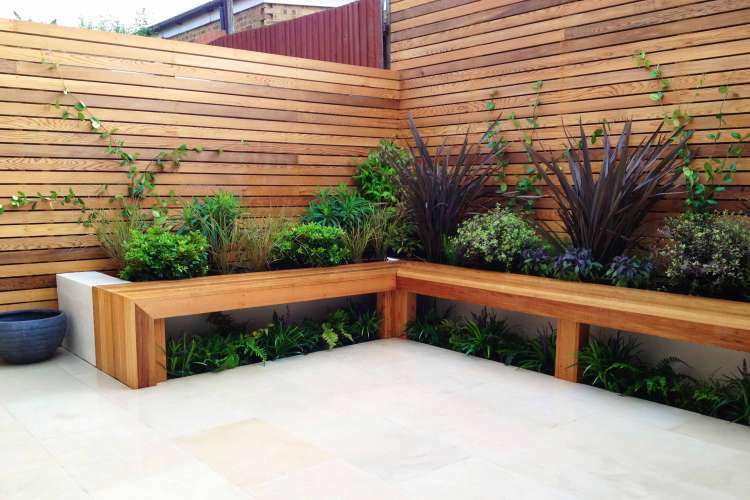 We designed a bench with the appearance of being supported by the feature wall, whilst floating above low maintenance evergreen plants. 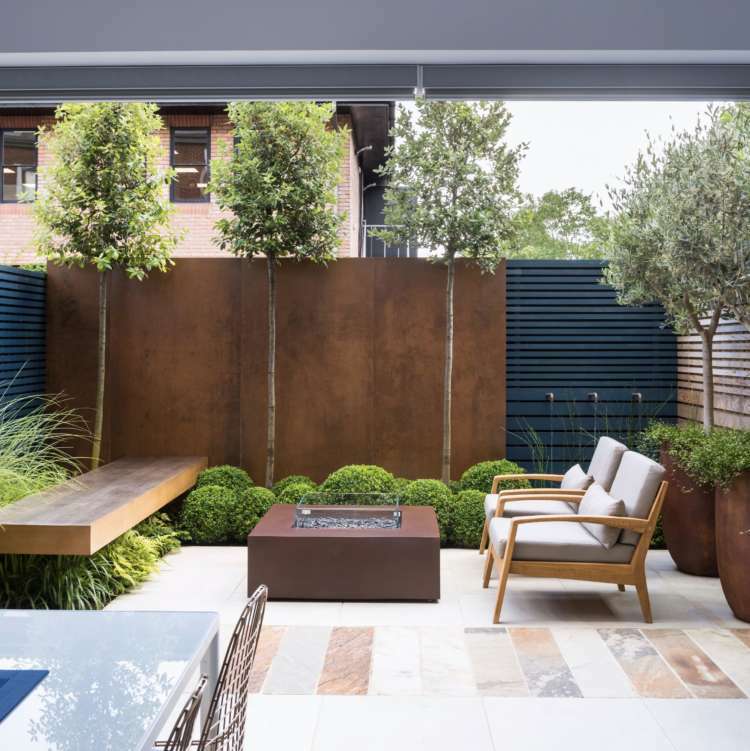 Cladding the existing fence with horizontal battens and use of a bold, deep blue that the client had chosen for a feature interior wall, enabled us to push the sense of space outwards. 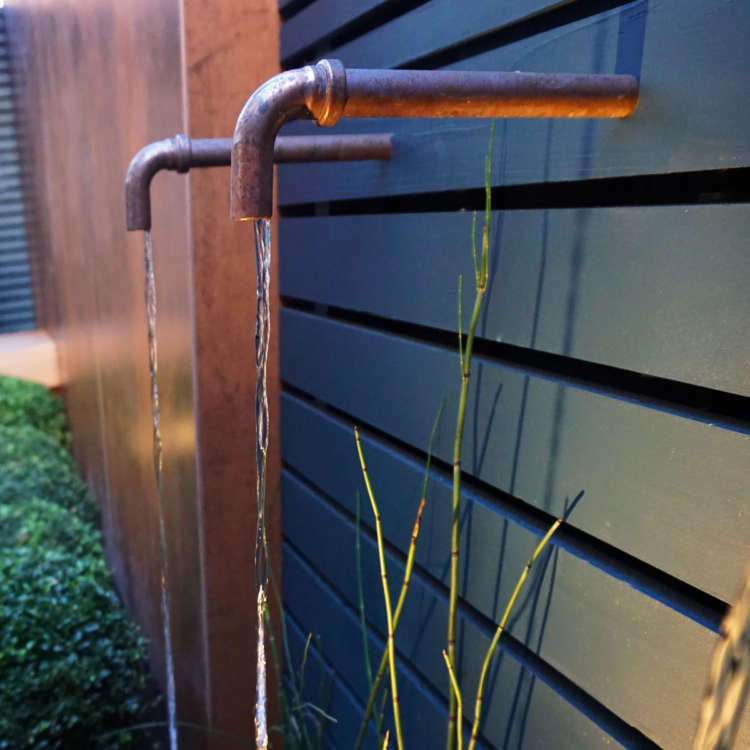 A water feature, incorporated into the fence, sits slightly further back than the feature wall, adding depth and also the opportunity for detail that is picked up by the lighting scheme in the evening. 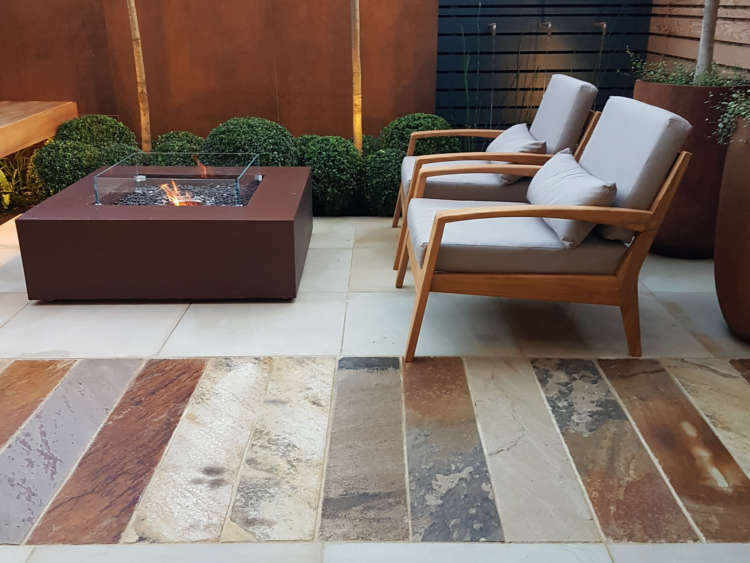 Beige paving was selected for the surfacing and a row of riven sandstone planks of varying colours add texture and contrast. 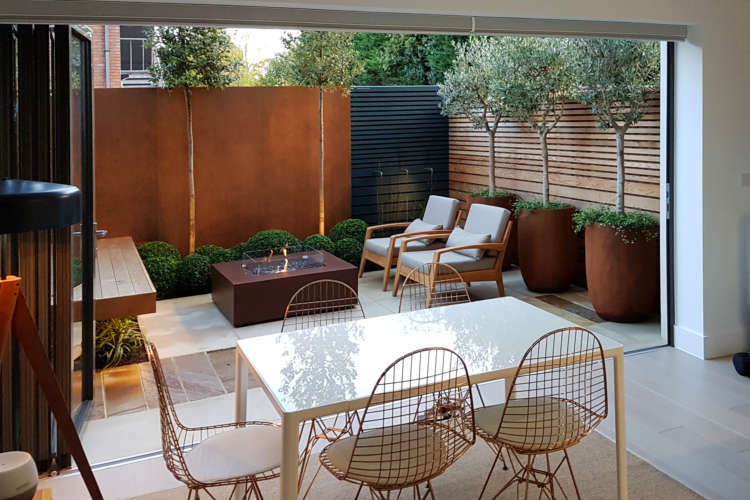 This small garden is not only a valuable extension of living space, but is a fantastic addition of atmosphere and detail, which has significantly enhanced the look and feel of this new build property. 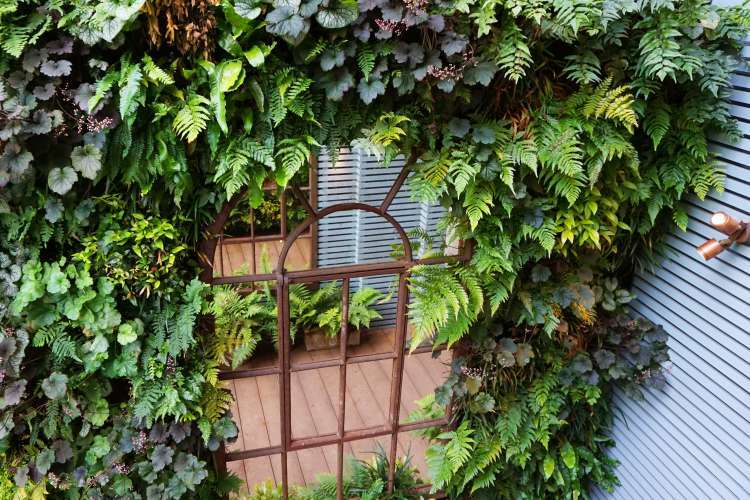 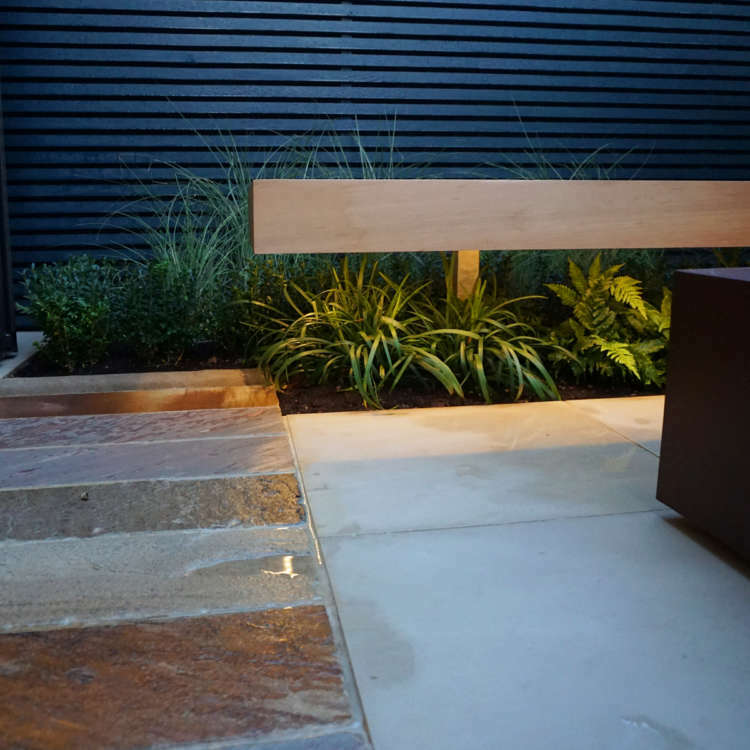 The bespoke features and low maintenance planting sit comfortably in the space and whilst there are a lot of elements to the design, each one has been carefully considered and the features curated in a way that makes the garden feel spacious and light. 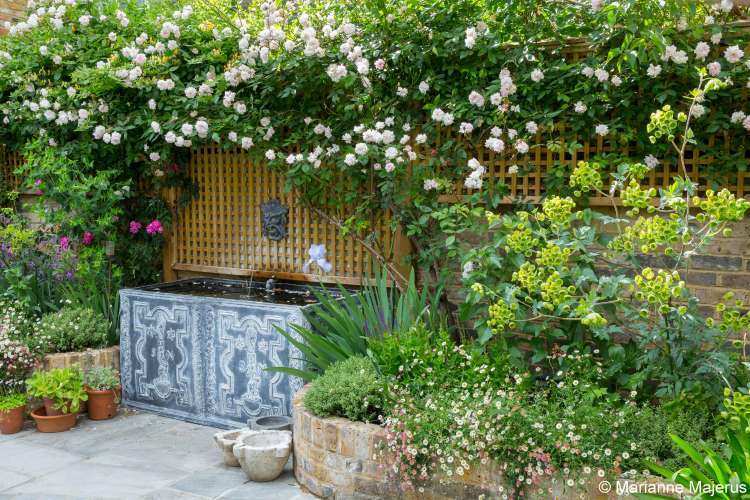 The garden we inherited in our new build home was a small, soulless space. 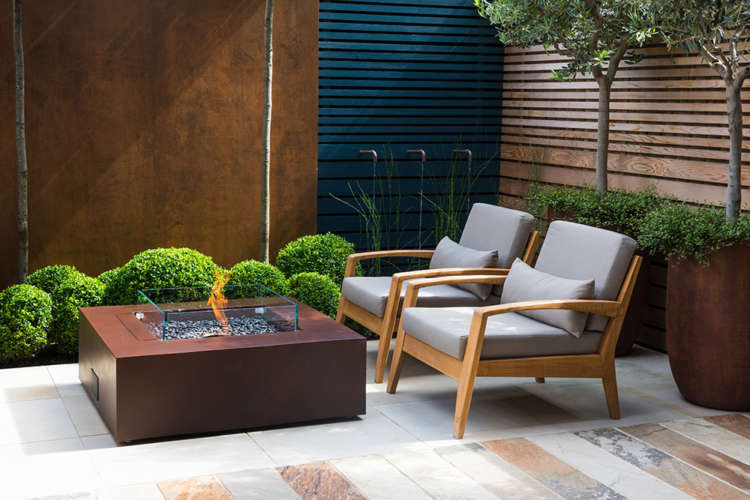 We briefed Garden Club London to transform this – to take the inside out, and to make this a seamless extension of our dining / living area. 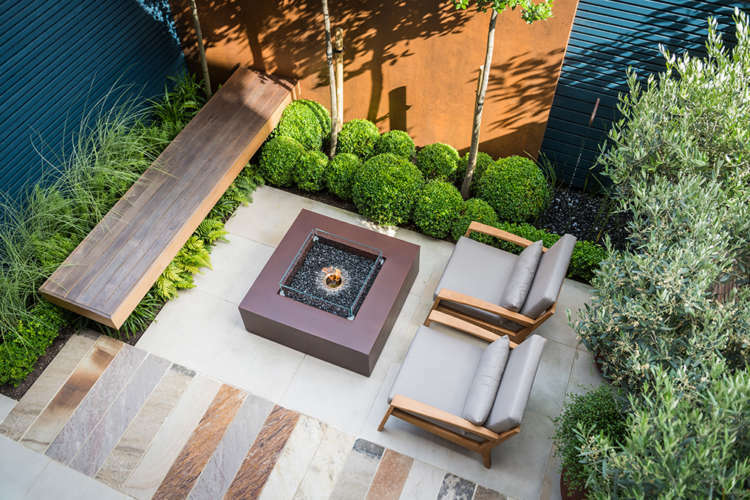 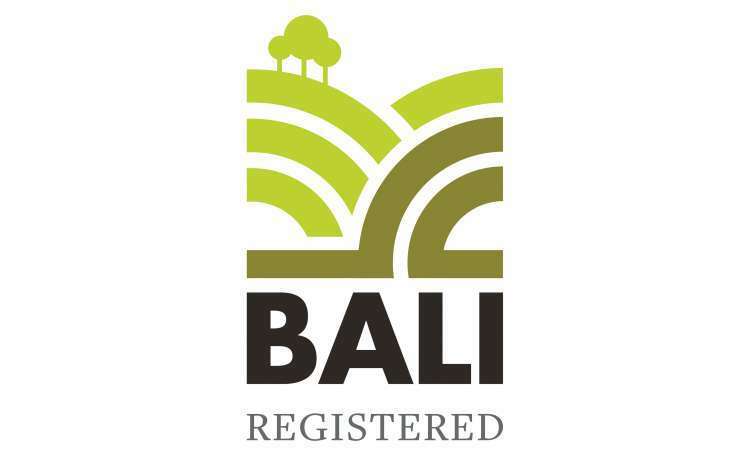 The result has been more than this – we now have a stunning garden to relax in, vibrant with living colour and planting texture, set with uniquely designed and sourced features, that realises a truly exceptional, sophisticated “room” for all seasons.